Generally the lack of growth that we are seeing at this time of year means that surfaces will be faster. As we head into the high season, one of the issues that we have to deal with is the lack of growth on playing surfaces. With temperatures still very low, particularly at night, we are still seeing some early morning frosts which do not help with the promotion of growth that we are all craving! 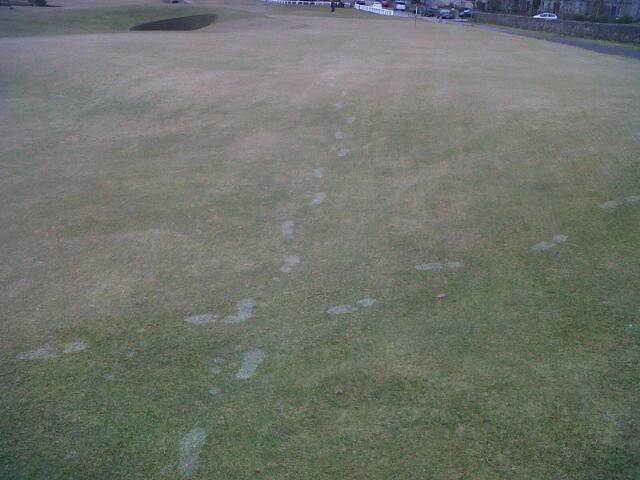 Below, the picture shows some early morning foot printing during the frosty weather which can cause damage and affect growth in the early season as well as delaying play. 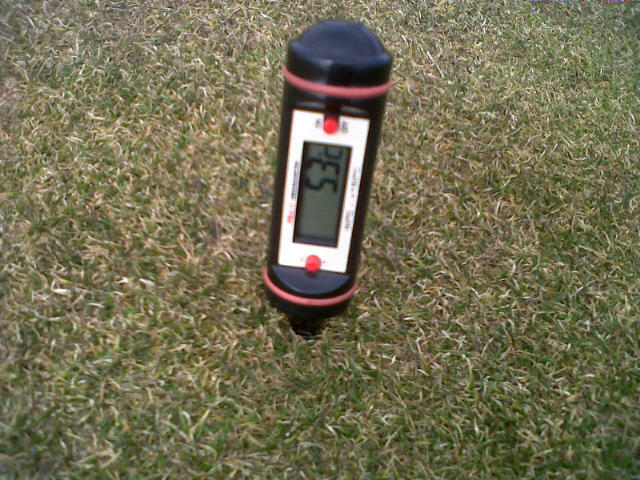 Soil temperature is very important to stimulate the right level of growth. Generally the optimum grass growing temperature is between 5 – 8 degrees. The picture below shows that currently we are below the optimum figure. This reading was taken around midday which is usually the warmest part of the day but we are still at the lower end of the optimum range for growth to occur. So what does all this mean to playing conditions through the early season? 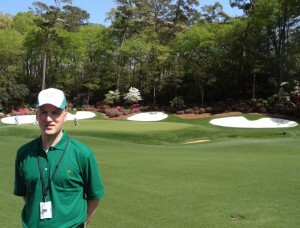 Generally the lack of growth that we are seeing at this time of year means that surfaces will be faster. This is due to the necessary rolling of surfaces that we carry out and also the grass is thinner so speeds will seem faster. When the growth kicks in (hopefully sometime soon) the surfaces will slow up meaning that we need to work harder to maintain the conditions that we have had through the winter. Our predominantly grassed fescue greens with different types of grass species like Bent, Poa and Rye all grow at different times which tend to make the playing surface bumpy in early season but we deal with this by regular topdressings, increasing cutting regimes and rolling. 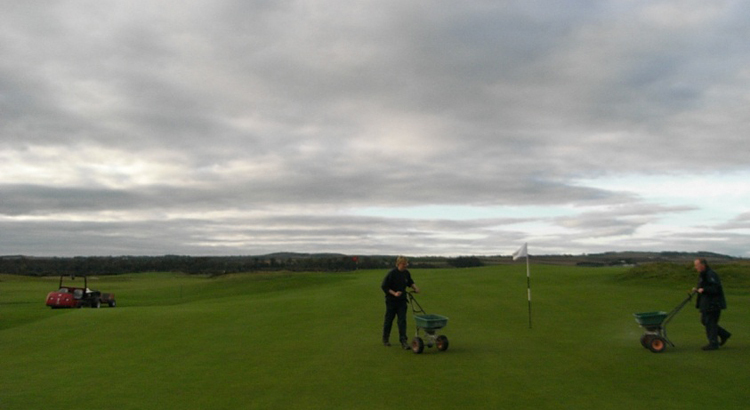 In the coming weeks, to aid growth, we will be applying our spring fertilisers. However, with increasing soil temperatures and surface moisture, this can slow the speed of greens and fairways until the growth pattern evens itself out. Despite this, long-term, the ground benefits and will produce beautifully smooth surfaces. 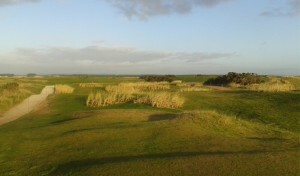 Words by Gordon McKie, Course Manager – Old Course.